Published on September 2, 2011 September 1, 2011 by Kristina @ Family. Work. Life. This week I wasted some watermelon. I always keep a big container of watermelon in the fridge for an easy snack and I didn’t get to it all in time. That was all the waste I had! I even had a pretty good save. My son and I had baked potatoes with grilled shrimp and cheese for dinner. He decided to leave his cheese untouched, along with some avocado pieces that I had given him. Now I usually don’t count his uneaten food as waste, but avocados aren’t cheap and I don’t like throwing them away. 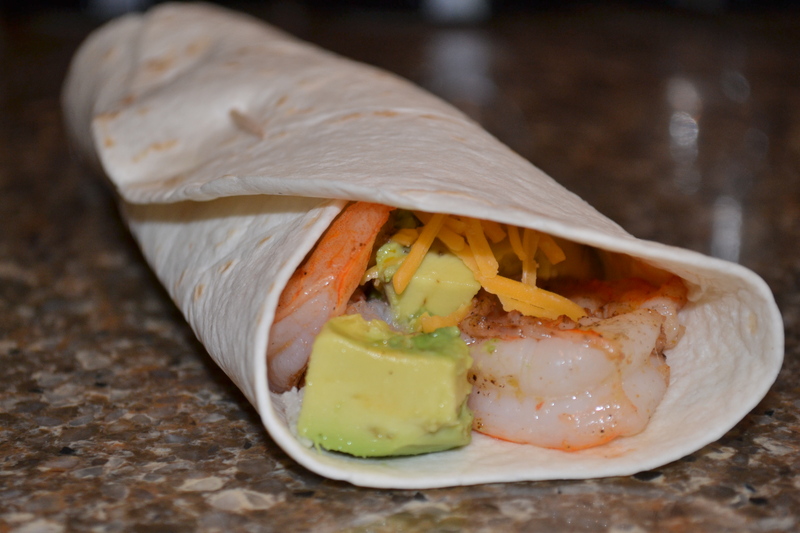 So I wrapped up some leftover grilled shrimp, his uneaten avocado and cheese, and a bit of sour cream in a tortilla and had a pretty delicious lunch the next day! Great idea! Sounds like it was the perfect lunch!